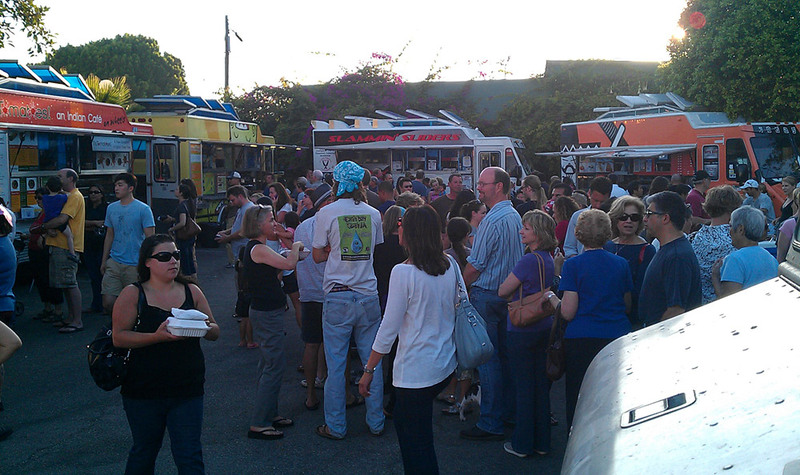 They’re a relatively new sight in a lot of cities, but here in Los Angeles we have thousands of food trucks. The gourmet food truck is a pretty recent phenomenon, but we also have a history of lunch and taco trucks that goes back for decades. Taco trucks can be found every few blocks in many parts of the city, every night of the week. 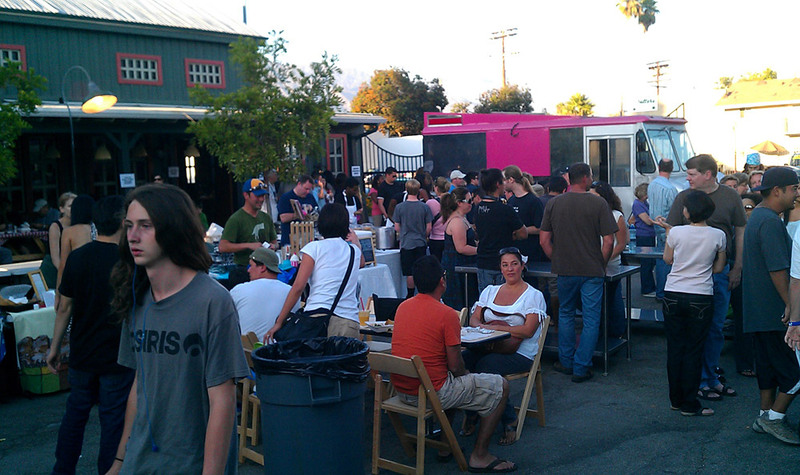 Half a block from our office is the Chef’s Center of California, and every Friday they have a food fair which draws anywhere from five to seven gourmet food (and ice cream!) trucks to our back yard. 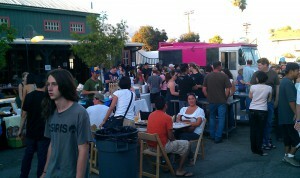 The lineup changes almost every week and the event draws a lot of high-profile trucks like Nom Nom, the Banh Mi sandwich truck featured in last season’s Great Food Truck Race on the food network (they were there last Friday, as you can see in the picture below).